While stuck in traffic going north on Rt. 17 yesterday, I did my usual "visual check" of the NYS&W track. I found one rail severed and turned away just north of the crossing. Looks like the end for what's left of the Lodi Branch. Another once great line reduced to nothing. Sad. If it weren't for high railroad taxes maybe the suzy-Q might have kept the lodi branch intact. I guess we should be glad it hung on as long as it did, considering some other suzy-Q branches are long gone. 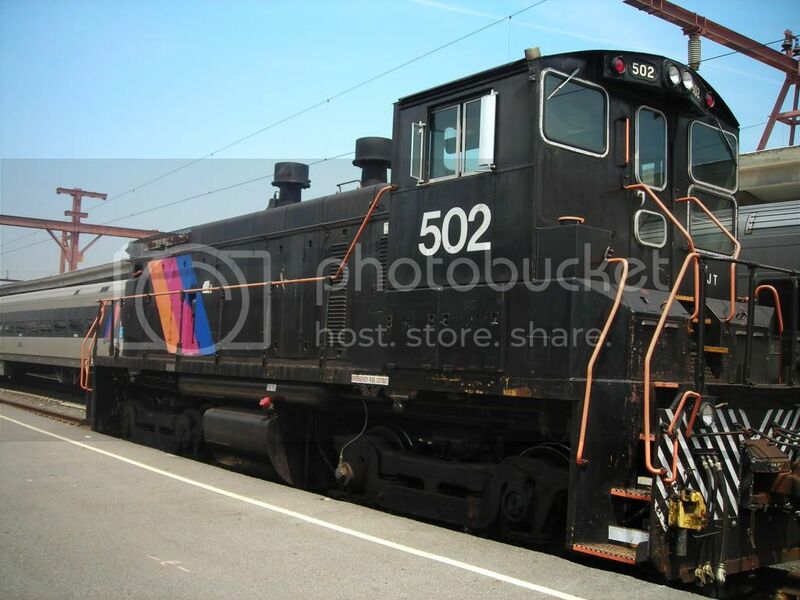 Question: since the suzy-Q is not a major class 1 and I am sure the lodi branch still had some intact sidings why didn't they try to drum up some new business instead of letting the branch die off? that piece of broken and bent rail you saw was from a motor vehicle accident several years ago that also took out the crossing uprights. No point in fixing the rail when its never used, broke right at the weld joint i believe from when they redid the crossing. I'm trying to remember, didn't NYS&W post a proposed abandonment notice in the Record 3-4 years ago, with this and the Dundee branches listed? Seems like it was a 3-5 year advanced announcement. 1) McCain is still there - didn't they used to receive reefers, maybe back around the turn of the century? 3) The building just north of the DMV (well, MVC) test site, now a 'Wholesale' Auto importer, was that US Ink? I recall a sign for awhile alerting motorists that the siding cross Gregg St was to be reactivated, but AFAIK that never happened (this might have been the building one block north, but I think its was where the importer is now. 4) Wasn't there a sizable chemical firm directly south of I-80 (now a empty lot), which provided a lot of traffic for the branch. 5) Why did they rebuild and reballast the branch a number of years back (could be a decade now). While we're in the area, the branch that used to serve (I believe) the large Garden State Paper complex at Lanza & Jewell (south of the Parkway - the branch crossed Rt 46) seems fairly intact, although the Rt 46 crossing seems paved over. Since townhouses have been built on the complex, and the remaining buildings I think were of the nature of Storage facilities, has this branch been formally abandoned? That used to be United Technologies Corp (UTC). If I recall properly, they manufactured ink. They operated up until around 1990-92 before shutting down. They used to receive tank cars of Toluene (the rail extended beyond the building and into the back yard) and I think box cars alongside the building at the loading dock for shipping out finished product. I was familiar with the environmental remediation project from '94 to '99 (that is the remediation building in the back of the property). 1. A spur once crossed the Saddle River west of Main Street near where the Shop-Rite is today. It served one or more industries. B. When did service end on this particular spur? 2. It seems that at some point in the 1960s or 70s service was pulled back to the east side of Main Street. A. What were the last customers on the Lodi south of Rte 46? B. When did service stop south of Rte 46? C. When was the Rte 46 crossing ripped?